Theses tortillas are something that I absolutely love, because #1 they are so versatile, and #2 they are so yummy! Unfortunately I don’t make them enough because it is a little time consuming and it takes a bit of elbow grease to roll them out. 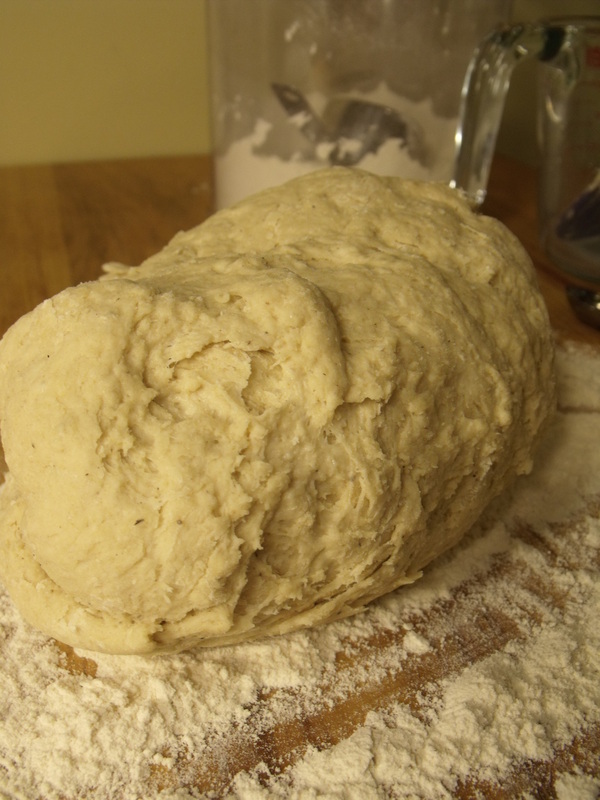 However, they are far superior to store bought tortillas, so you really should give them a try. This particular recipe is actually more like a cross between a tortillas and a flat bread, as they are more chewy and less flaky. They can be used for burritos, quesadillas, fajitas (my fav), mini pizzas, and whatever else your creative mind can think up. 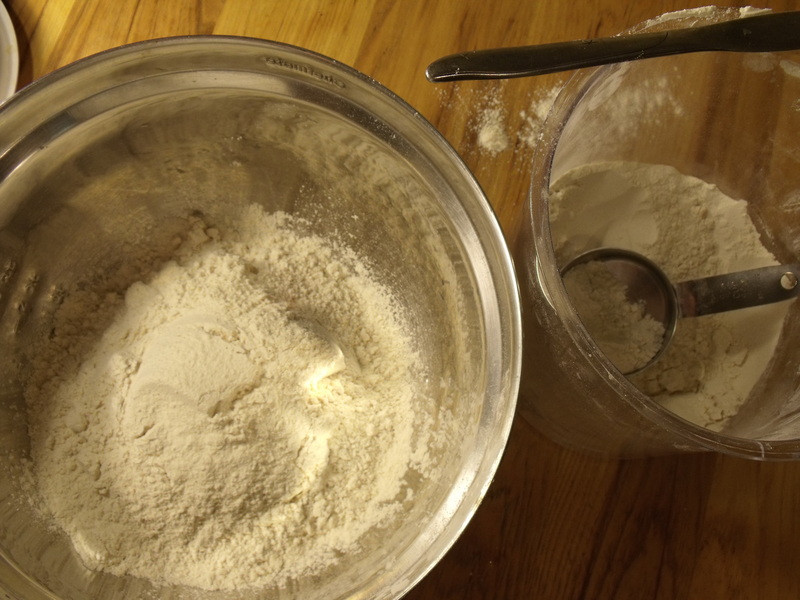 Dust your work surface with flour. 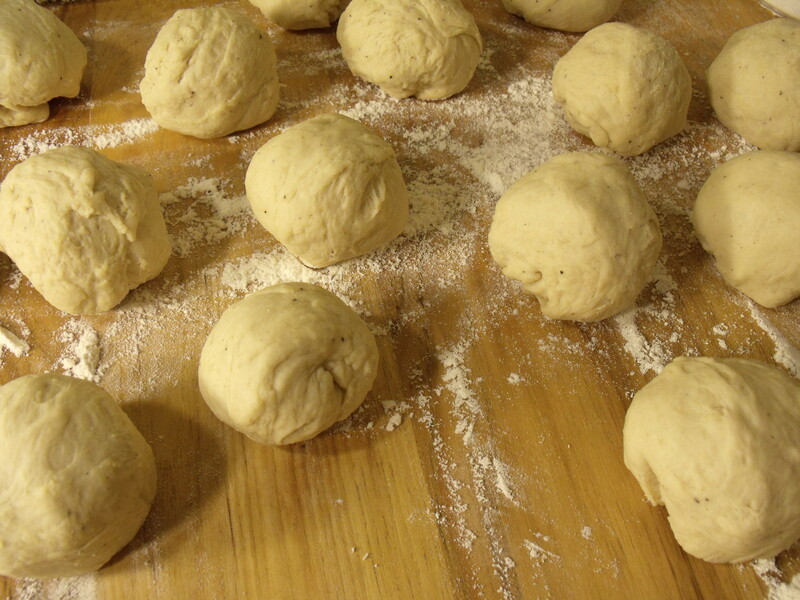 Working one at a time, remove each piece of dough and pat it into a 5-inch circle. 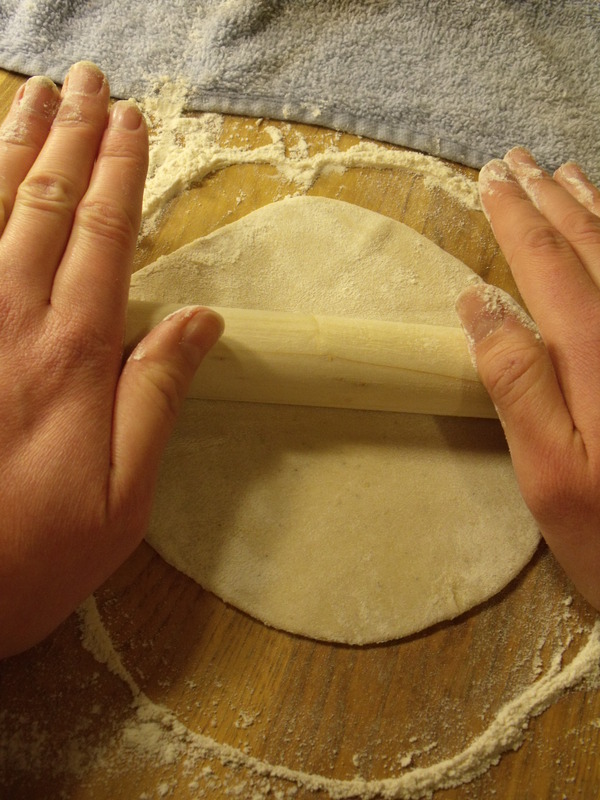 With a rolling pin, roll out the tortilla, working from the center out, until you have a 7- or 8-inch tortilla a little less than 1/4 inch thick. Transfer the tortilla to a hot, dry skillet or griddle. It will begin to blister. Let it cook for 30 seconds, turn it, and let the other side cook for 30 seconds. Remove the tortilla, place it in a napkin-lined basket and cover with aluminum foil. Repeat for the remaining tortillas. 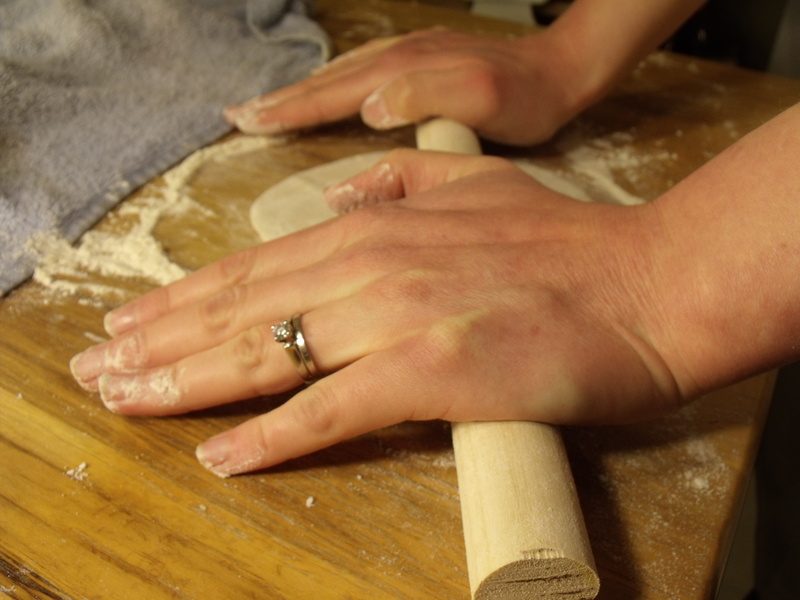 When rolling out tortillas, dust your rolling pin with flour, and don’t be afraid to apply pressure. 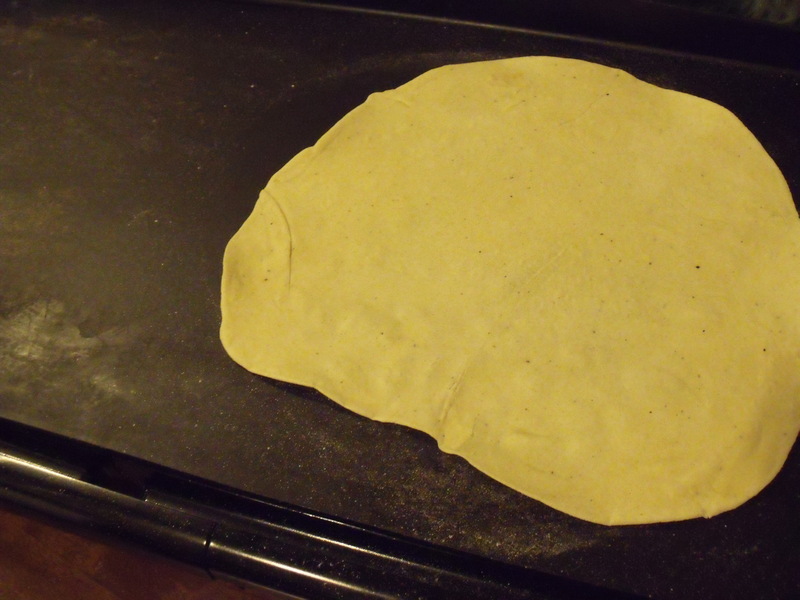 Flour tortilla dough is pretty sturdy; but not to the point of rerolling. You don’t want tough tortillas. Once again, I believe a cast-iron skillet or griddle is practically indispensable for making any kind of tortilla. Once you get a rhythm going, you can roll out a tortilla, put it on to cook and, while it cooks, roll out your next tortilla. 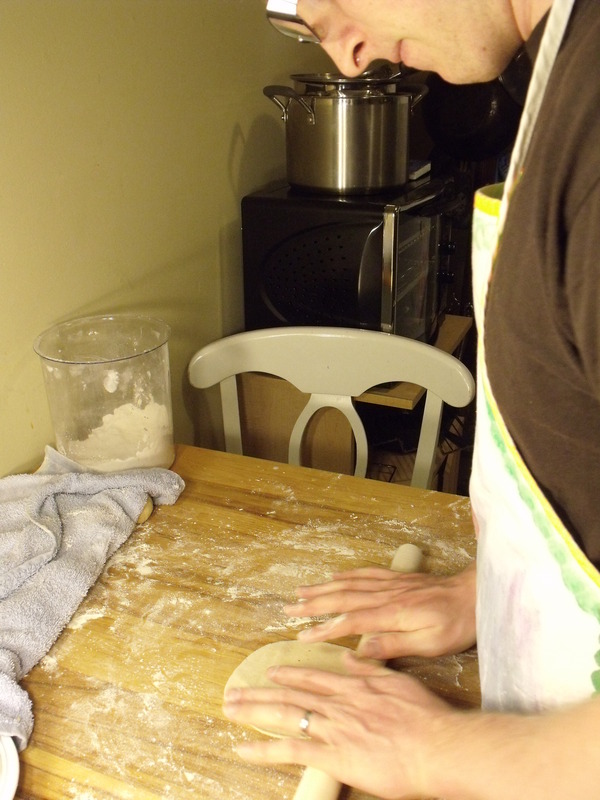 Seems like an arduous process but, with this method, I could produce 8 tortillas in about 10 action-packed minutes. Be sure to rewrap your fresh tortillas each time you add another to the stack. If you choose to experiment with seasonings, mix dry spices with the flour mixture and fresh or “wet” seasonings with the milk. Sadly, I have no more pictures because we were so hungry from making them, that we were too busy devouring them! Yummy looks good come over and make some for me.